Big Or Little: What Kind Of Career Do You Want? Do you want a big or little career? It’s time to decide. A big career is bold, exciting and rewarding. It has tumultuous moments, yes, but along with the precarious days and months come many others that exceed your most wildly optimistic dreams. 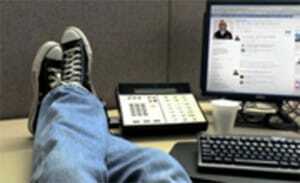 A little career is safe, undemanding and predictable. You will sleep well at night, knowing that tomorrow will be almost exactly the same as yesterday and 1,000 yesterdays before. When I ask the question like this – big or little? – many people are tempted to answer: big. In our culture, big is better. But in reality, most people go to work each day and act as though they prefer: little. Of course, you may not think of your career aspirations as: little. But when faced with a choice between leading a high visibility charge or playing it safe by putting your head down and doing your job, you may put your head down. Gross domestic product soared 5% on an annual basis in the third quarter, the government said on Tuesday. To put that in perspective, it’s the strongest quarter of growth since 2003. “Other than the first quarter’s weather-induced contraction, there’s no doubt the economy has been great this year,” said Dan Greenhaus, chief global strategist at BTIG. Investors cheered the news, sending the stock market to record highs with the Dow crossing 18,000 for the first time ever. The unemployment rate remained steady at 5.8%, according the government report released Friday. That’s down from 7% this time last year. Plenty of studies show that pay increases only serve as a short-term performance motivator. Certainly salary is important; every company should strive to compensate its employees fairly – even, if possible, more than “fairly.” Equitable pay is a given. But it’s also often true that receiving a raise is a lot like buying a new car. Pretty soon we ratchet our expectations upwards and even a new Ferrari is “just” a car (unless it’s a Tesla, which is never “just a car”). So where long-term performance is concerned, what matters more than pay? What do people wish for from their work? What helps employees feel truly valued and appreciated – and motivates them to do their absolute best? The National Center for Education Statistics estimates there are 1,791,000 bachelor degree graduates in the class of 2013, many of whom will be entering the job market for the first time. At PwC, we will hire more than 7,000 new associates and interns this year. And this month we will promote 5,400 of our people to the next level. As these professionals launch or accelerate their careers, I’m frequently asked what it takes to be successful. Once upon a time, I may have said it simply comes down to hard work (sprinkled with a bit of luck and sponsorship). It’s what my parents drilled into me from an early age. While I’ve certainly worked hard over the course of my 28-year career, hard work, it turns out, was just a small part of the equation. I attribute success to the development of these four attributes. 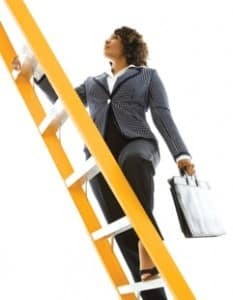 Five Ways to Climb the Corporate Ladder, Pronto! Here is a great article by By Vicki Salemi Posted on Media Jobs Daily! Want to expedite climbing the ol’ corporate ladder? As in onward and upward as soon as possible! 1. Think and act a level above your own. If you’ve ever heard the expression to “act as if,” now’s the time to put it into effect. How else can you expect to get ahead if you don’t already know what you should think and act like? Dress like? Job interviews: Nobody likes them, but they inevitably stand between you and your dream job. 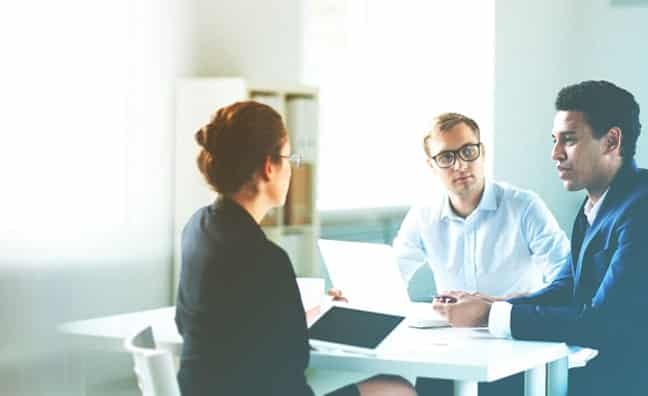 Unfortunately, “What’s your greatest weakness?” is no longer the only hard-to-answer question hiring managers will throw your way. 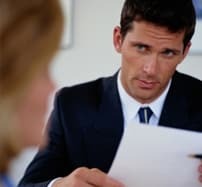 New techniques, designed to do everything from measure your ability to handle criticism in the moment to downright intimidate you, are now being wielded more frequently by HR managers. Life and Career Coach Anna Goldstein, founder of SelfintheCity.com, walks you through eight curveball interview techniques you might encounter, and the best way to ace each one.